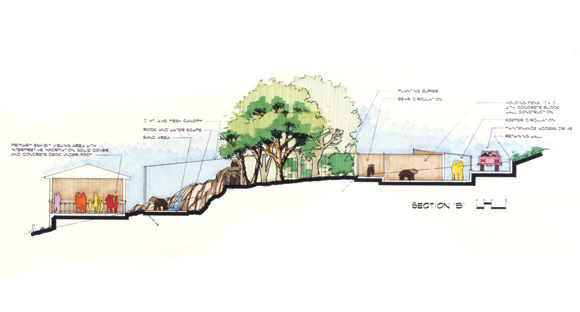 This zoological project provides habitat space for up to 8 native California black bears. 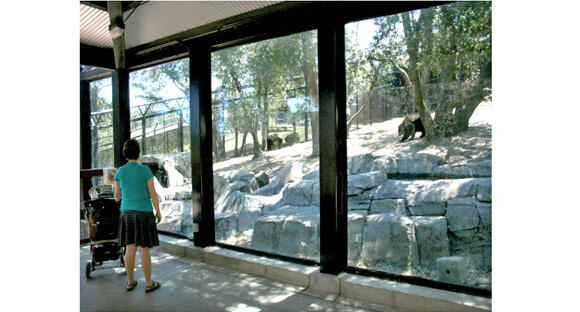 The exhibit is sited in a sloping California Live Oak grove that provides shade for the bears and visitors. 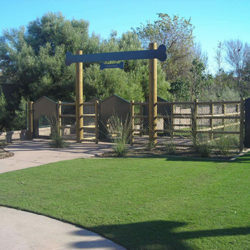 The exhibit was designed using a series of workshop charettes and constructed in two phases. 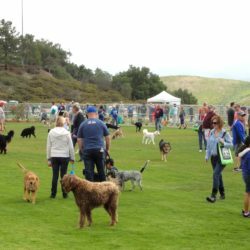 The plan includes the following program elements: a visitor pavilion and interpretation area; 10,000 s.f. 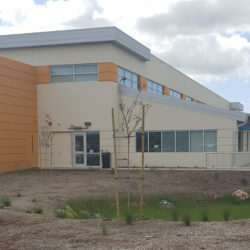 of exhibit space; 500 s.f. quarantine area; four night houses; and a keeper workstation building. 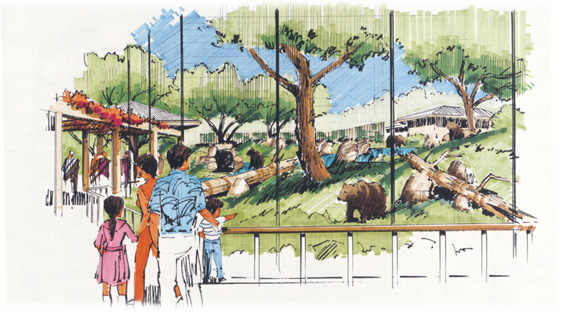 Amenities for the bears are provided through sand play areas, climbing logs, open terrain, therapeutic warm and cool pools, and waterfalls. 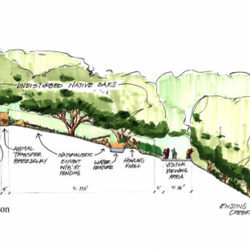 The sensitive root structures of the mature oaks were avoided by constructing an elevated walkway system supported by steel posts. 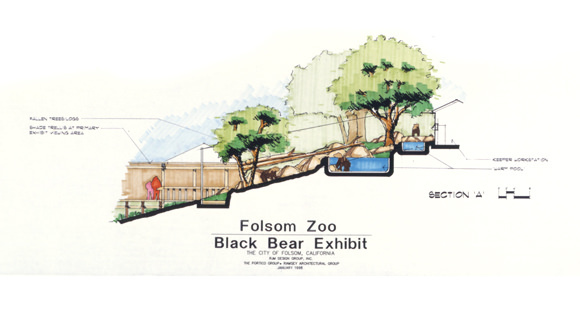 Bears are intelligent, good climbers and risk takers, so a roof structure was designed from aircraft cable and forms a canopy over parts of the enclosure. The trees were allowed to penetrate the canopy within suspended rings in the roof. 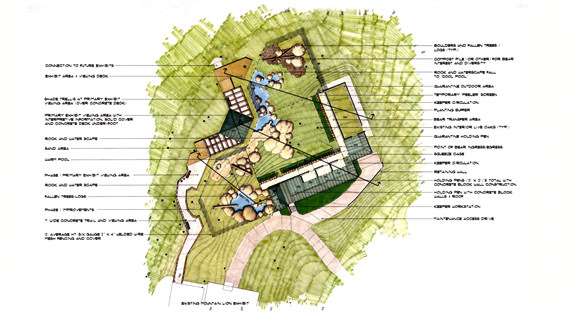 RJM served as prime consultant in a multi-disciplinary effort that included planning, landscape architecture, architecture, zoological, electrical, mechanical, pools, structural, civil, geotechnical and arborist consulting services.